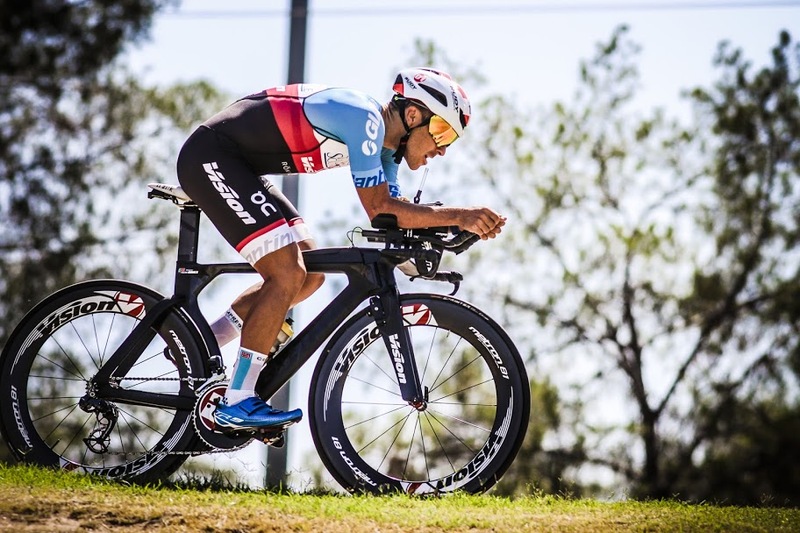 When it comes to triathlon and time-trial (TT), we’re often talking distances of 40km and under, and in a non-drafting scenario where the rider behind isn’t allowed to enjoy the energy-saving benefits of slipstreaming your rear wheel. It’s all about maximising power and, especially for TT, you want to leave every ounce of energy on the course. 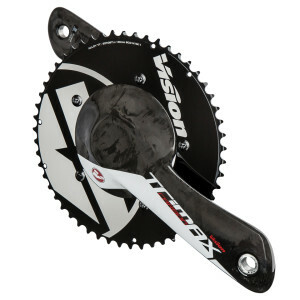 And for that you should look at Vision’s Trimax Carbon TT crankset. While many cranksets are compact, coming in at 50/34 (the bigger front chainring has 50 teeth, the smaller 34), the Trimax come in larger combinations of: 55/42t, 53/39t and 54/42t. Yes, you’ll need strong legs to make the most of the larger chainrings but, especially downhill and with tailwinds, push that cranks round and you’ll ride faster than you’ve ever done before. Studies have shown that, used correctly, aerobars can save you up to 2 minutes over a 40km bike leg and nearly five times that over a 180km Ironman bike leg. That’s why you’ll never see top long-course triathletes and Vision athletes Cameron Brown (11-time Ironman New Zealand winner) and Terenzo Bozzone without them. Professional triathletes and time-triallists will use all-in-one bars, like Vision’s Metron TFA, which are an integrated unit combining handlebars, stem and extensions for a more streamlined unit. However, if you’re new to triathlon and TT, clip-ons are a more affordable and practical choice. Clip-on bars, like those in the Vision Trimax range, are simply extensions that clamp onto your existing handlebars for a more aerodynamic cockpit – ie, a tucked rider position reducing frontal exposure. It’s also recommended that you supplement your new aero package with core training to ensure your stomach and lower back can comfortably sustain your new position. The aerodynamic road helmet has been one of the greatest innovations of the past few years. This relatively new sector is a hybrid of the teardrop aerodynamic helmet made famous by time-triallists like Chris Boardman and a traditional vented road helmet. They lack the long aerodynamic tail that’s seen on out-and-out time-trial helmets, which makes them easier to use, and feature aerodynamic vents and more minimal curves than a traditional vented helmet to carve through the wind easier. Part of that increased slipstreaming derives from minimal vents, so they might be one for a cooler day. Scan the professional peloton and the greatest impact on how the likes of Vision riders Andrew Talansky (Cannondale Pro Cycling) and Sam Wallace (Bora-Argon 18) train is the power meter. As the name suggests, power meters measure the amount of wattage you generate on a bike. How they do this relies on myriad of electronics and accurate algorithms. There are various models on the market, including Garmin’s Vector, as used by Cannondale Pro, that gleans data from the pedals. This data is then wirelessly transmitted to a head unit on your handlebars. 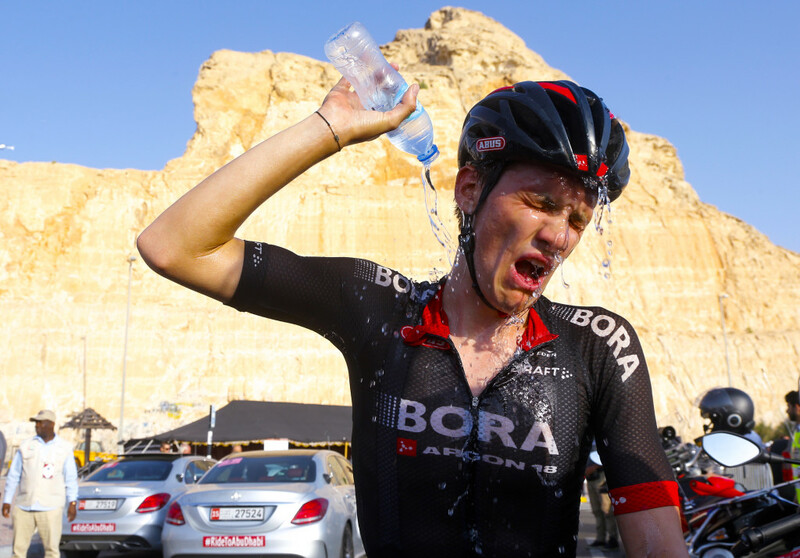 Once you’ve obtained your functional threshold power (FTP) – the maximum power you can sustain for an hour – you can then set power zones to ride at depending on the physiological adaptation you’re seeking. This could be improving technique in zone one (around 55% of FTP) to short, intense sessions in zone six (121-150% FTP) to build speed, which comes in handy when attacking a group of cyclists. Research has shown savings of between 1 and 2 minutes over a 40km bike leg thanks to deep-rim wheels. How is all down to smoothing out airflow, ensuring you carve through the air like a hot knife through butter. Vision’s Metron 81 – clincher or tubular – is ideal for triathlon and time-trial, its CFD and wind-tunnel-proven 81mm rim proving incredibly fast, with the bladed spokes adding an extra aero edge. Or, if the wind is blowing and it’s a slightly more rolling course, you could for the Metron 40s or 55s, which are a slightly shallower rim but easier to handle when nature blows.